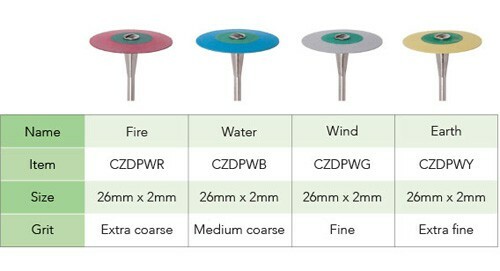 The 4 Elements are the premier contouring and polishing discs for zirconia and lithium disilicate. 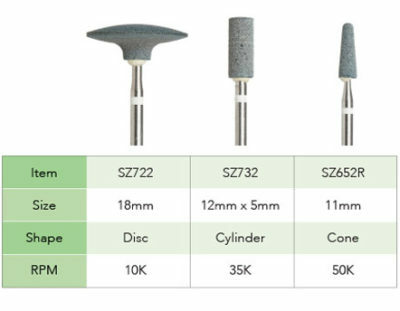 Created with highly concentrated diamond particles, these 4 discs perform beautifully with every step of working the material. Use the coarse, Fire, for contouring zirconia; the medium, Water, for lithium disilicate; the fine, Earth, for a second step on zirconia or lithium disilicate; and the super fine, Wind, for a brilliant shine. Made specifically for Emax. Produced with diamond and abrasive grit. Also works well on ceramics. Pure 100% diamond. 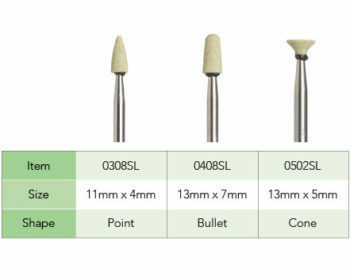 Very hard for maximum results on Zirconia and Emax.